We’ve reached the middle of winter, and it can be tempting to curl up in a Snuggie and veg out on the couch until spring. Unfortunately, FAB Girls have school, extracurricular activities, and maybe even a part time job. Did you know there are certain foods you can eat to give you more energy? There has been a movement in the diet industry to get people to cut back on carbs, or carbohydrates. But there are two types of carbohydrates, and one is better for you. Bad carbs, such as the simple sugars found in candy or soda, cause a rapid increase in blood sugar. The process is quick, leaving you hungry and less energetic all over again. Complex carbs leave you feeling fuller longer and help you maintain a good level of energy for a longer time frame. Here’s a list of foods FAB Girls can eat to maintain their energy throughout the day. We mentioned that February was Heart Health Month, and today is the annual, ‘Wear Red For Women’ day sponsored by The American Heart Association. Groups all over sponsor luncheons, heart walks and benefits to raise money for the fight against heart disease. 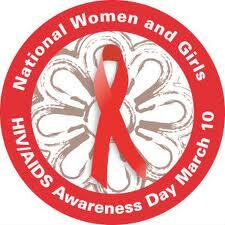 FAB Girls of all ages can show support by wearing something red. We’ve complied a gallery of items that can get you thinking about what to wear. Carry essentials in Ecko Red’s signature red bow handbag. A red nautical dress from Forever 21 is casual enough for school. Essie nail polish in Antique Rose qualifies as wearing red! A dollman sleeved tunic for Justice for Girls can help get tweens to join the cause. Modcloth‘s sweet strapless red dress is perfect for finding a Valentine. Who wouldn’t want to be seen walking in Red Puma sneakers? As you know, February is Heart Health Month. One way to care for your heart is to eat a diet that is good for you. There are some delicious foods FAB Girls can eat to promote their own health and wellness. Oatmeal- This yummy breakfast cereal is packed with Omega 3’s–a fatty acid that the body needs but can only obtain through food. They are said to lower the risk of heart disease. You can dress your oatmeal up with fresh fruit or a little cinnamon and brown sugar. Yum! Blueberries-These little blue treats are rich with heart healthy antioxidants. You can eat them by themselves, put them on top of your oatmeal, bake them into muffins….the options are endless! Salmon- Salmon is also a source of Omega 3’s, this fish can be grilled or served in a salad. We also like to make salmon patties, and a recipe can be found here. Dark Chocolate- Good to know chocolate can be good for you! But the type of chocolate that is best is dark chocolate with a cocoa content of 70% or more. We don’t think we have to give any suggestions on how to eat your chocolate! Soy milk- Soy milk is full of so many vitamins and antioxidants that are good for your heart; including b-complex, niacin, folate, calcium and potassium. If you don’t like the taste of soy milk alone, add some to your oatmeal or smoothies. Which heart healthy food from this list is your favorite? Or do you have a different one? Tell us in the comments! When we think about hearts in February, it’s usually because of Valentine’s Day. But did you know that February is also heart health month? * Exercise 30 minutes a day. Get a friend of get the family involved. It’s a lot easier to stick with an exercise routine when you have someone doing it with you. You can take a brisk walk, play a sport together, or even play a fitness game on Playstation. FAB Role Model and First Lady Michelle Obama has some more information on the ‘Let’s Move’ website. * Eat a heart healthy diet. A balanced diet is one that includes choices from all food groups. Fruits and vegetables are a must, but so are whole grains, beans and fish. 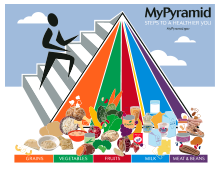 WebMD has a great piece about heart healthy foods here. 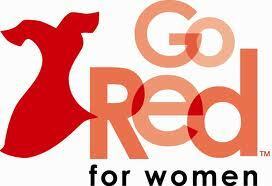 *Visit the Go Red For Women website with the FAB Women in your life and talk about learn more about heart disease together. There is a lot of information about heart disease from The American Heart Association, including a link for Heart Health at Any Age.